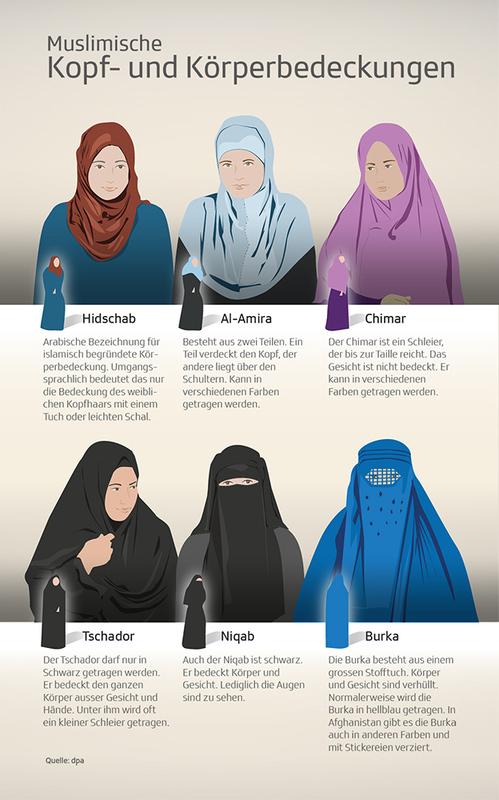 There are different kinds of coverings worn by muslim women. Some headscarfs cover head and hair, while others also cover the face. The infographic visualizes the 6 most common types of headscarfs.